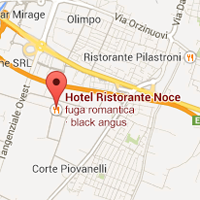 Noce Hotel in Brescia: feel at home. Hotel Noce is a friendly family run hotel recently renovated and strategically located, with an excellent restaurant on site. Located in a very quiet and strategic location (close to the city center, the fair, the motorway Brescia Ovest gate and the ring roads), the Hotel is provided with confortable new rooms, with air conditioning Sat-tv, minifridge and memory foam anatomic mattresses to provide the greatest comfort during sleep. Just 100 meters from the hotel there is the new "Residence Noce" with gated parking with electric gate and video surveillance: a solution with excellent value for money perfect for those seeking the utmost discretion and indipendence. Spend an unforgettable weekend in Brescia, a city of art a few miles from the Franciacorta wine cellars and from the Lake Garda and Lake Iseo. Want to impress your better half to celebrate an anniversary, or simply treat yourself to a little romantic getaway?